Immo killer is a software for repairing, bypassing or “virginizing” the immobilizer of the Engine Control Module (ECM) of some cars. IMMO Killer works by processing the dump files from the Immobilizer EPROM of the ECM and depending on the case, it removes or virginize the immobilizer system, so you may use an used ECM or make it accept new keys. You will need to use a regular EPROM programmer to read the contents of the EPROM in your ECU, then process it with the ImmoKiller software and finally write the processed file back to the Immobilizer EPROM. When the process is done, your car should start if you are using new keys or if you replaced the ECM by an used ECM. 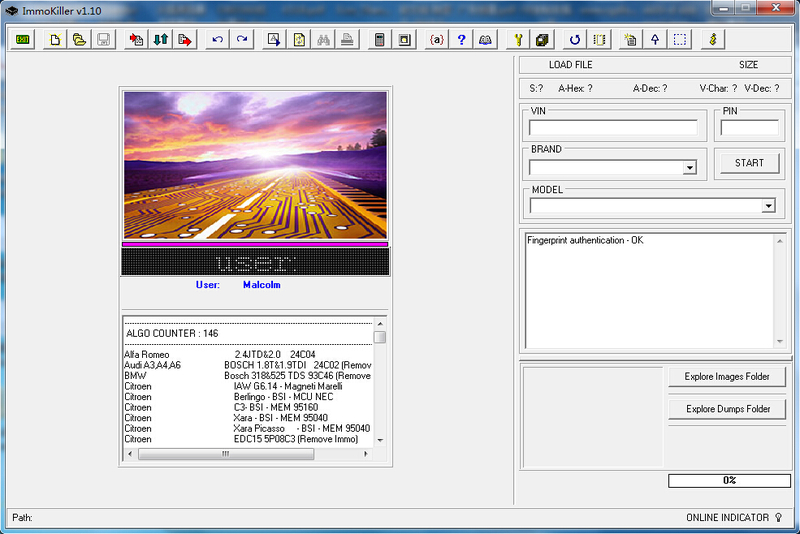 This is and instant download of the Immokiller software (EPROM programmer NOT included). How to Use IMMO Killer? You can use a programmer to read the contents of the immobilizer eproms, and then Immo Killer does some changes to the memory dump, which is then written back to eprom using the programmer, and the car is immobilizer free.